** THIS MODEL HAS BEEN DISCONTINUED BY THE MANUFACTURER. THE DIRECT REPLACEMENT IS THE DTC4500e, DTC4500e MODEL #055000. 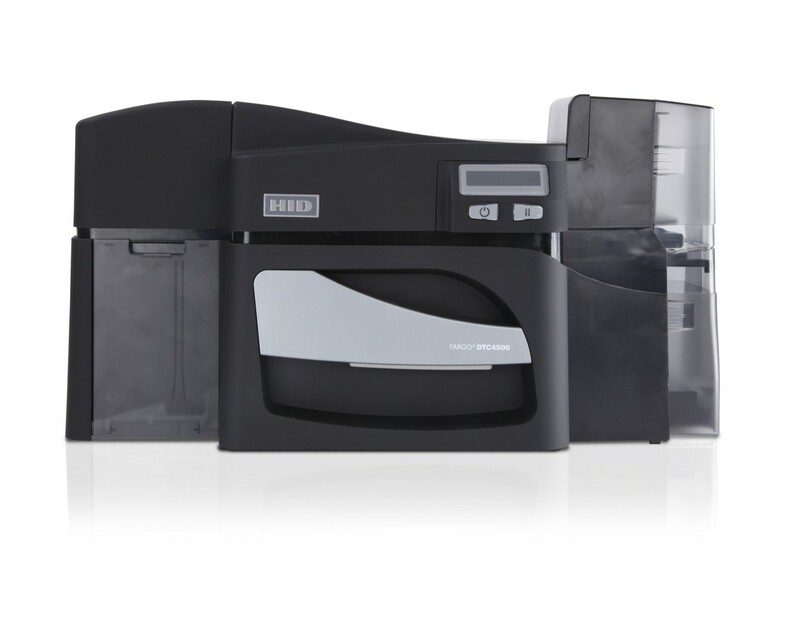 A high volume, maximum security printer that provides versatile options to customize yoru printer to your orgainzational card printing needs. The robust print engine produces fast, powerful card printing. High capacity ribbons allow this printer to provide twice as many full color cards than the average printer prior to a ribbon change. Continuous high volume card printing with technology encoding modules and dual input card hoppers allow for maximum capacity printing and easy management of multiple card types.